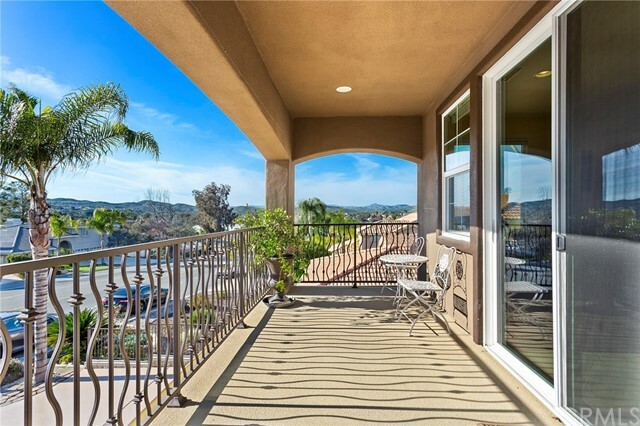 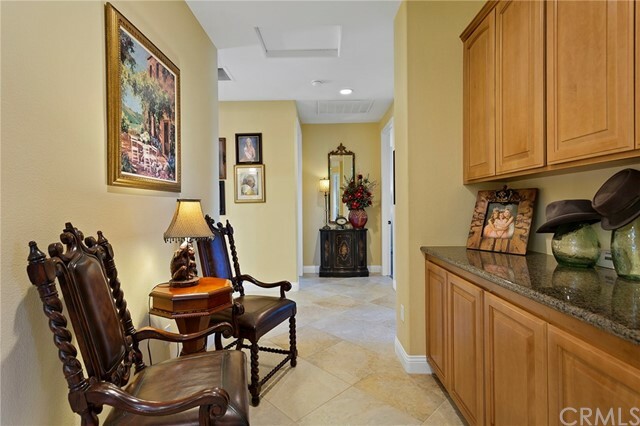 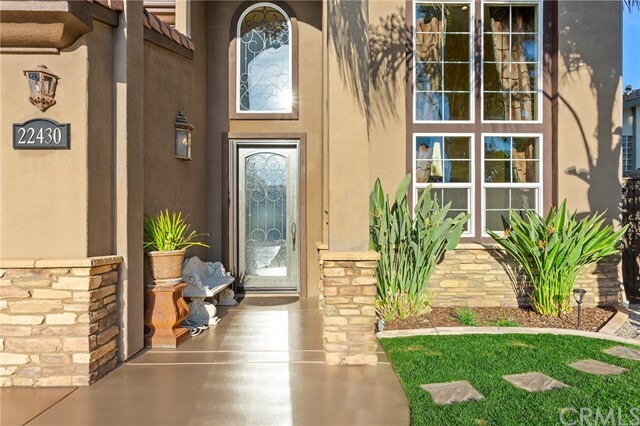 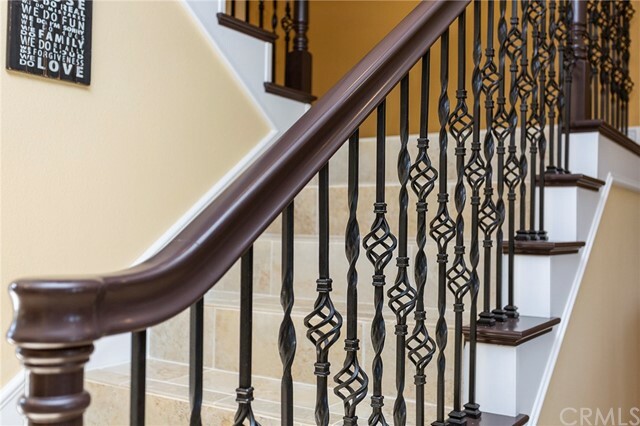 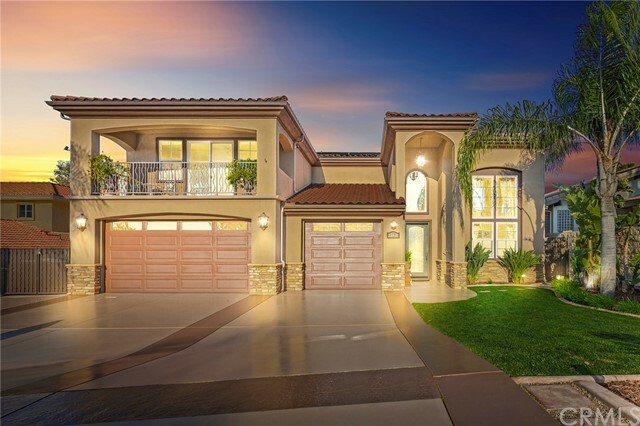 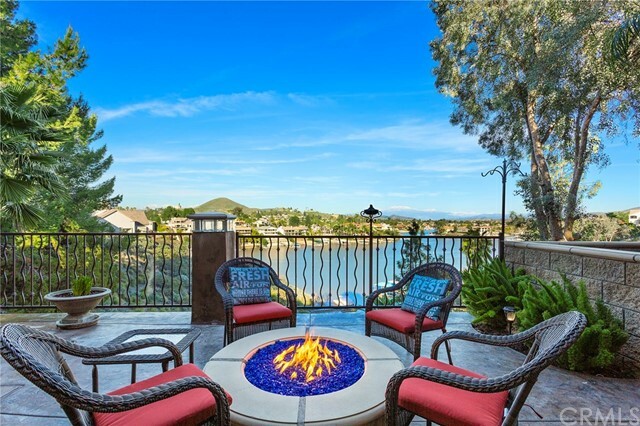 Welcome to the prestigious gated community of Canyon Lake where you truly live like you are on vacation all year long! 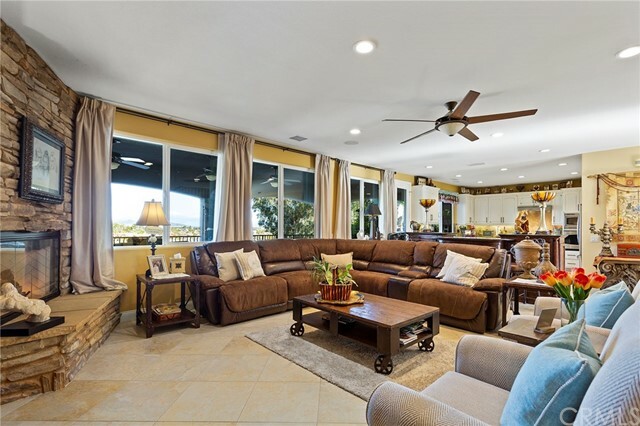 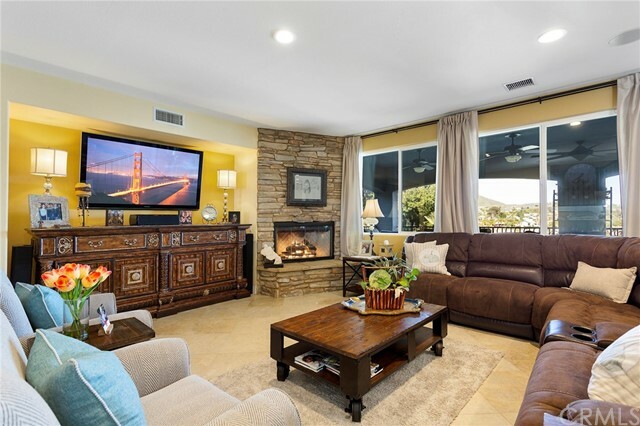 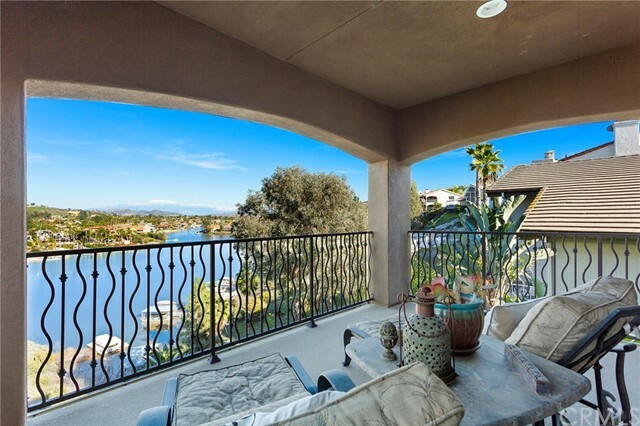 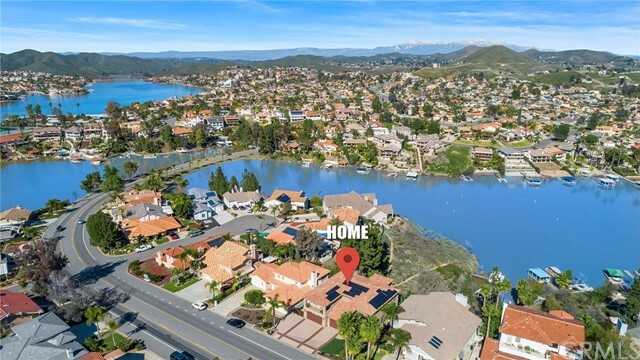 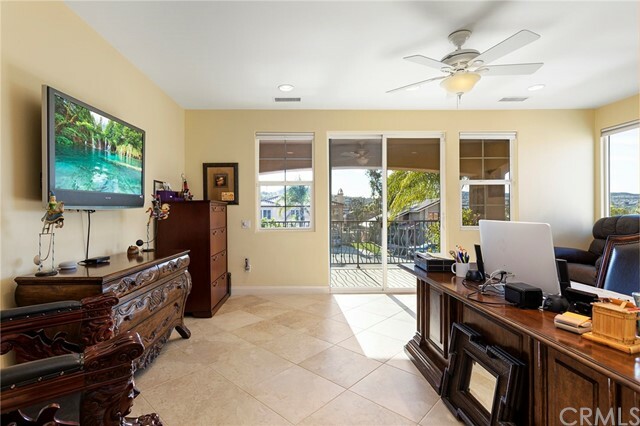 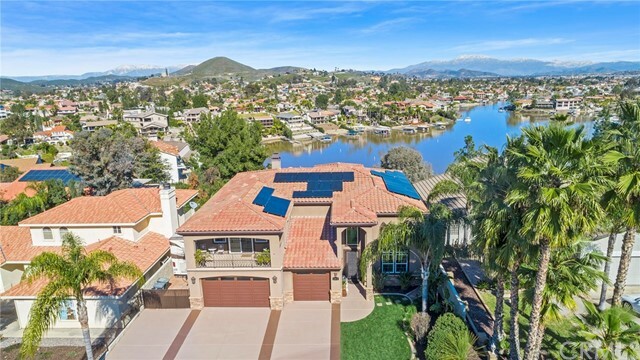 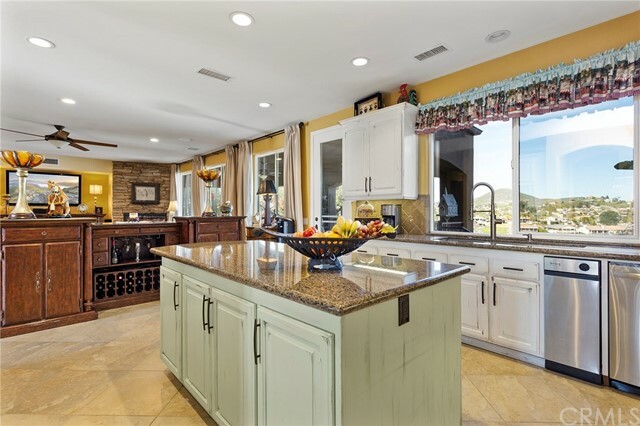 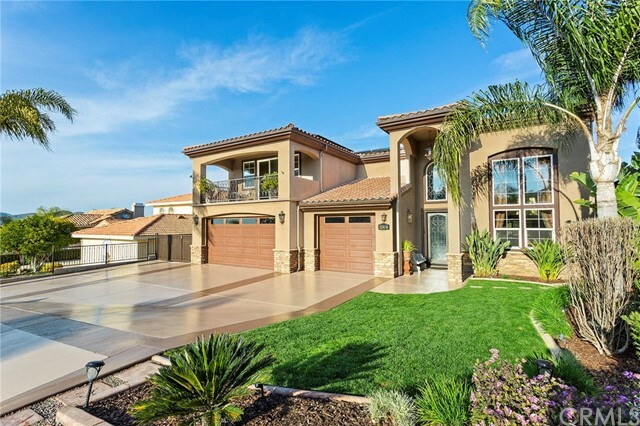 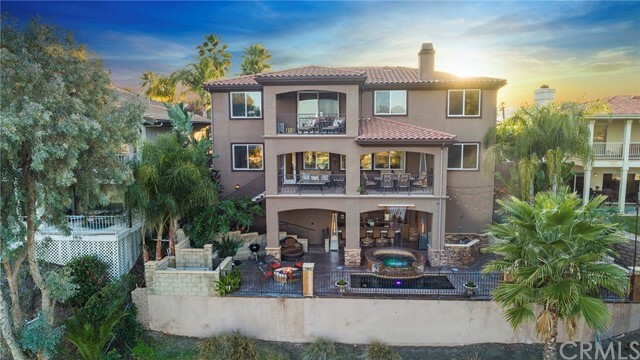 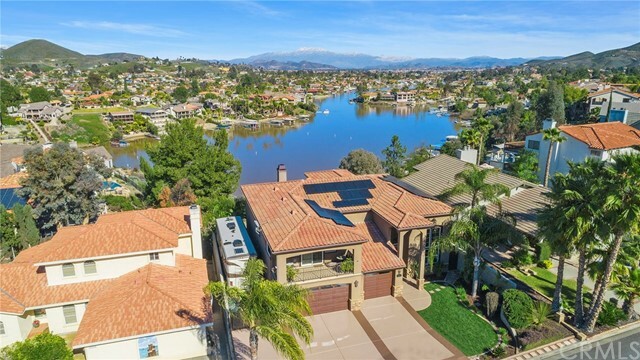 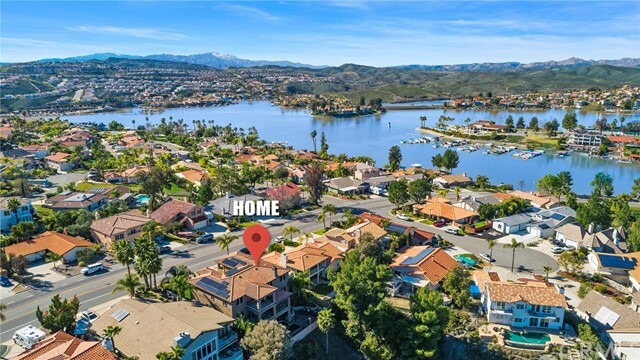 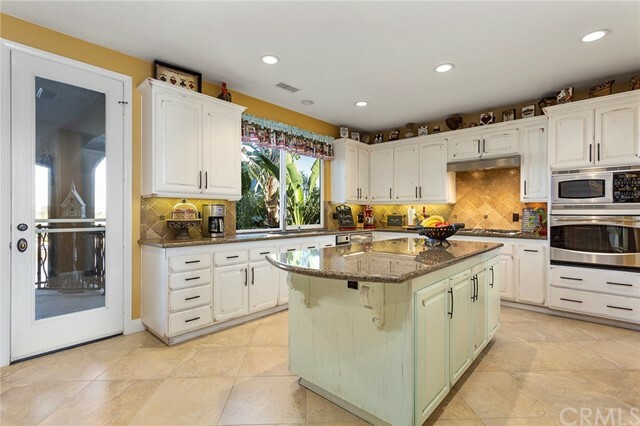 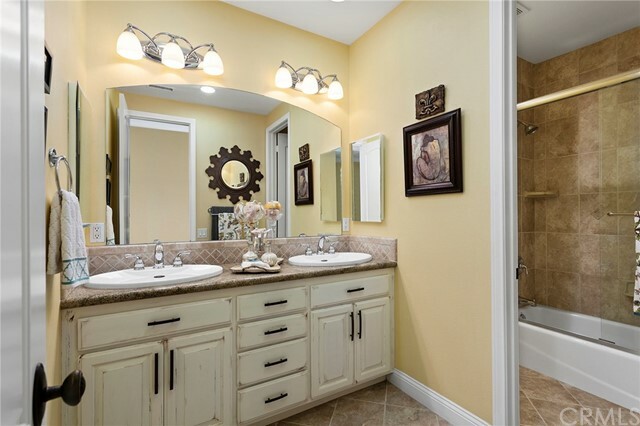 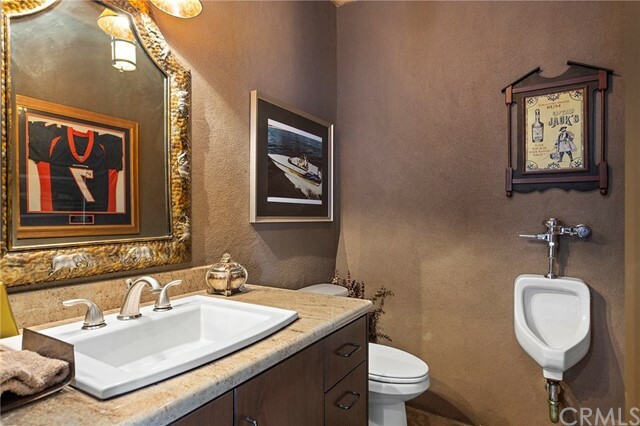 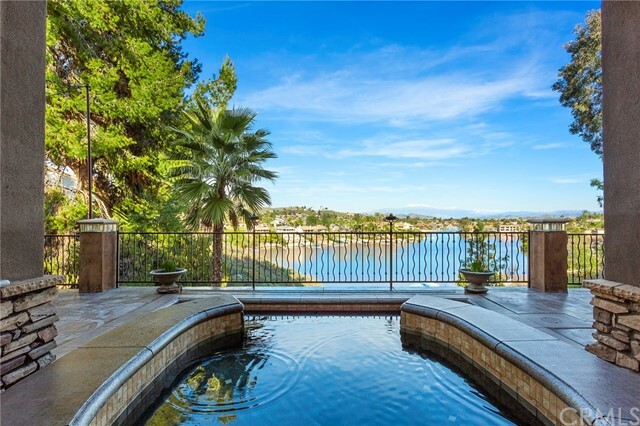 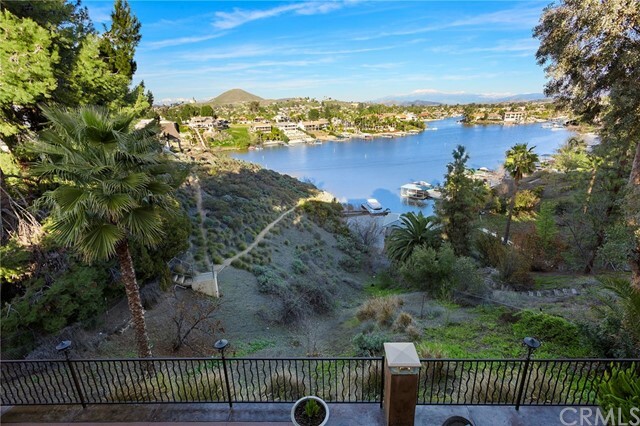 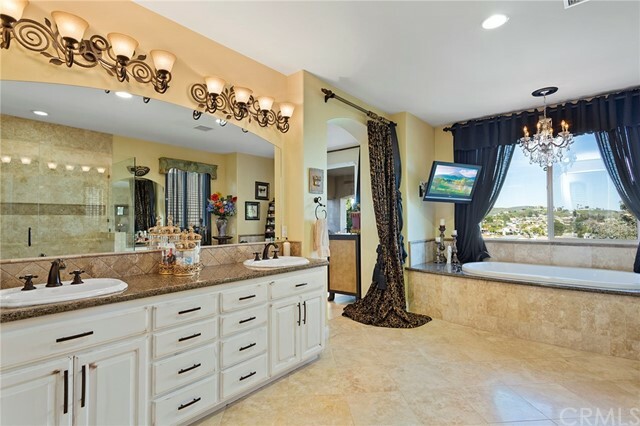 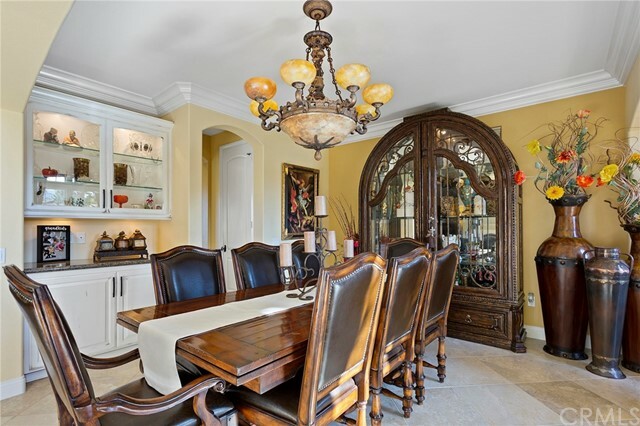 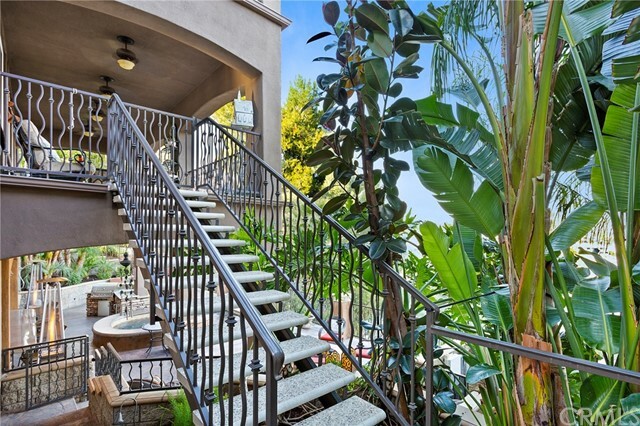 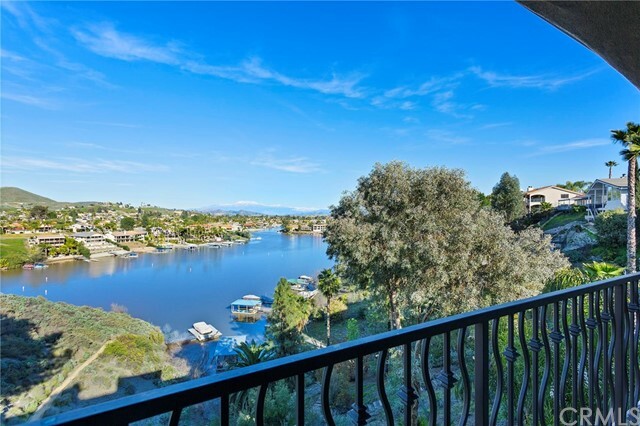 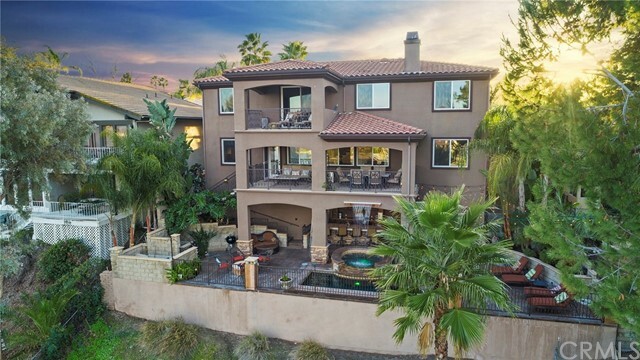 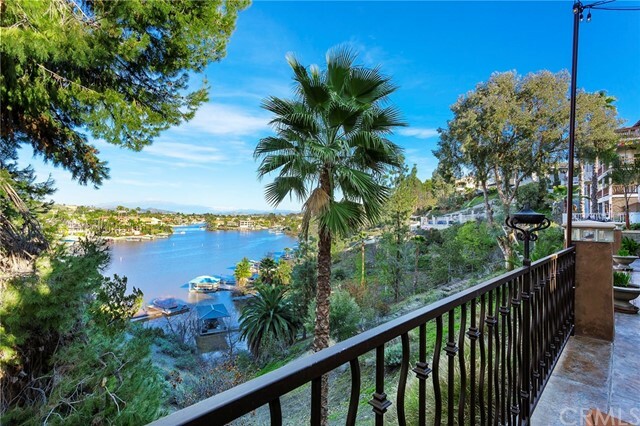 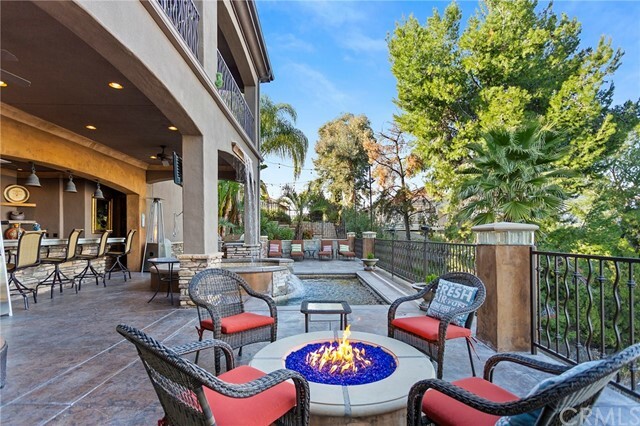 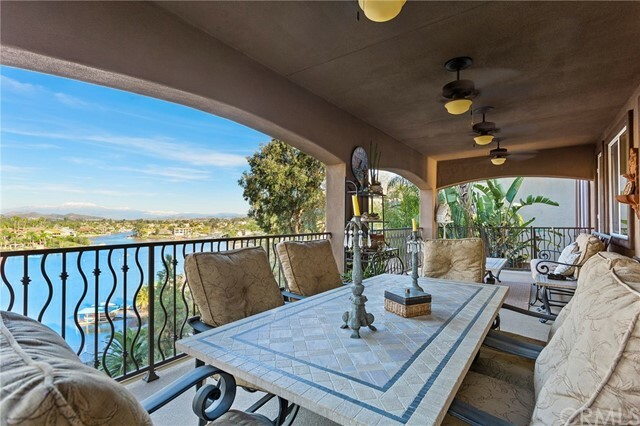 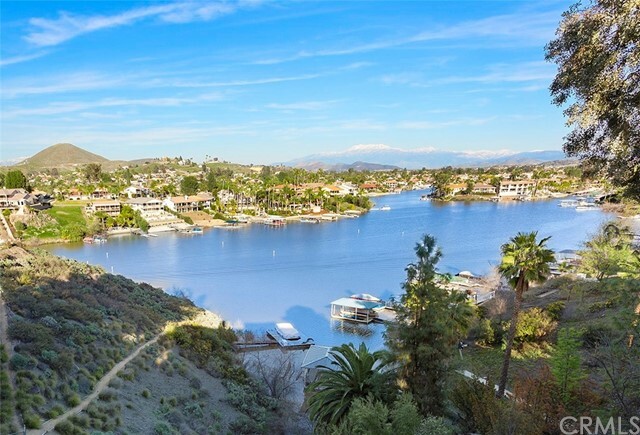 22430 Canyon Lake Drive South is a highly upgraded custom pool home with panoramic views of Canyon Lake's east bay. 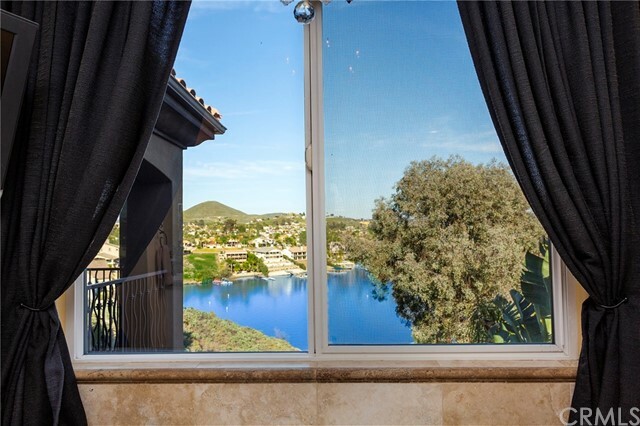 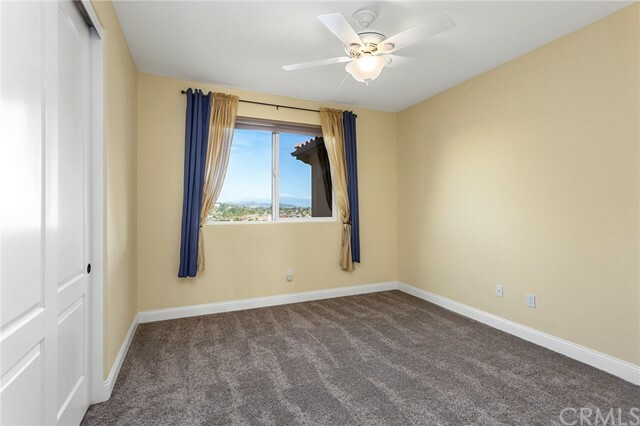 Almost every room has breathtaking views of the main lake or east bay! 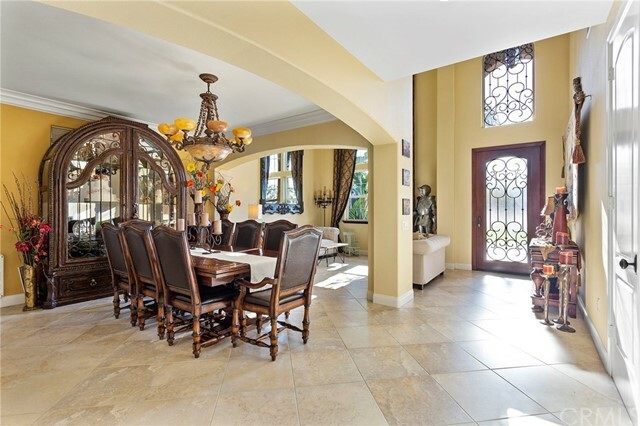 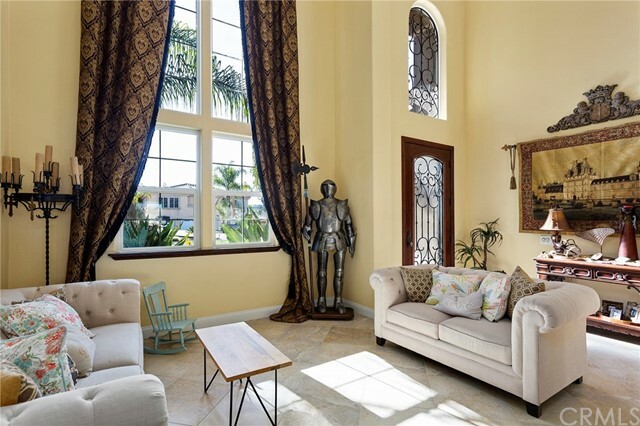 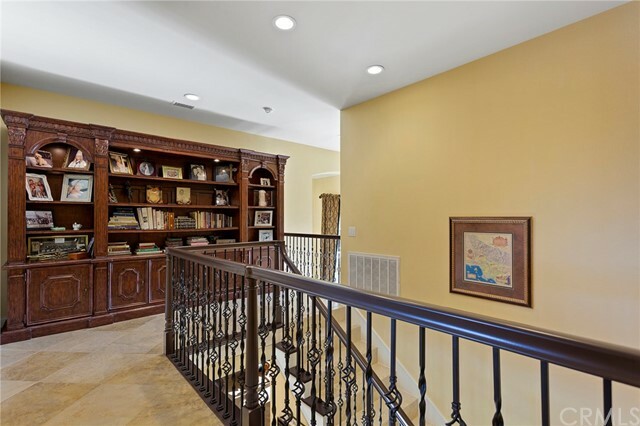 Upon entry you are greeted by 19 foot ceilings, bright formal living room, dining room with crown molding, and built in cabinets. 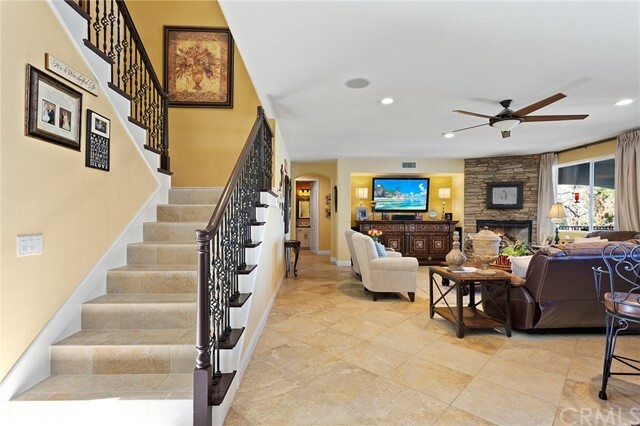 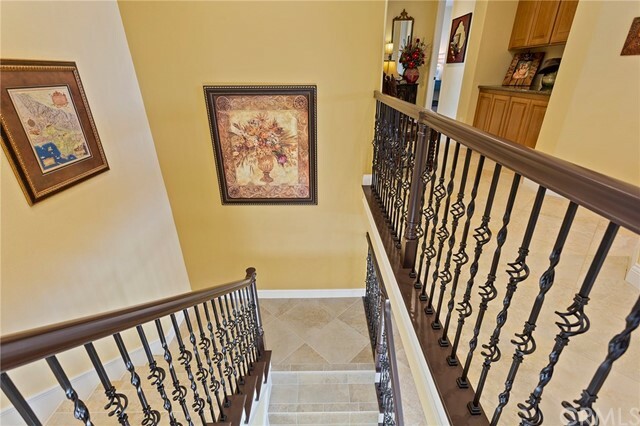 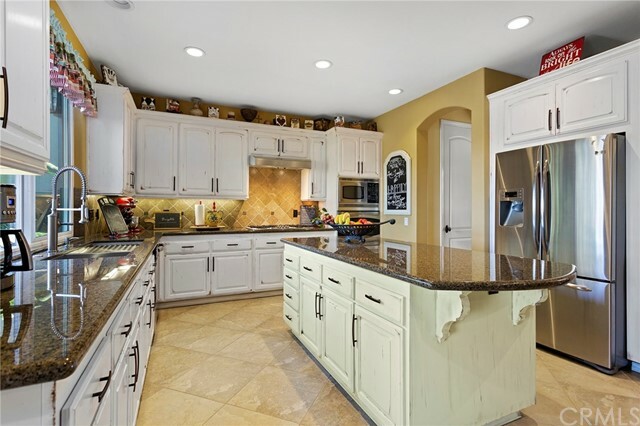 Family room is warm & inviting with focal point stack stone fireplace & decorative wrought iron staircase.Open concept kitchen features granite countertops, massive island supported by extra cabinet space, & walk in pantry. 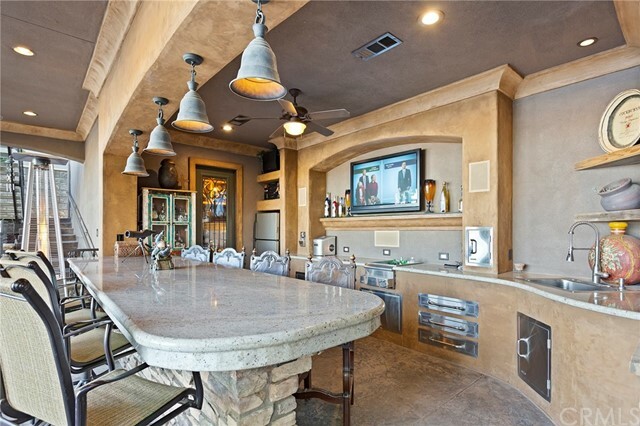 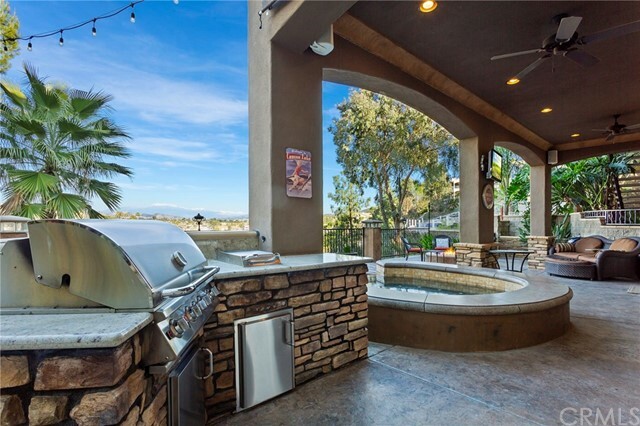 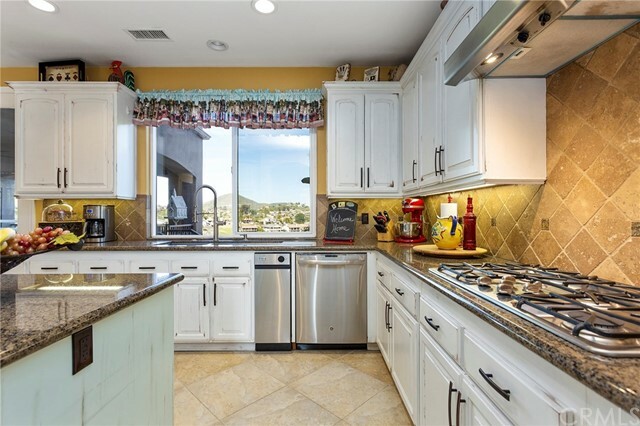 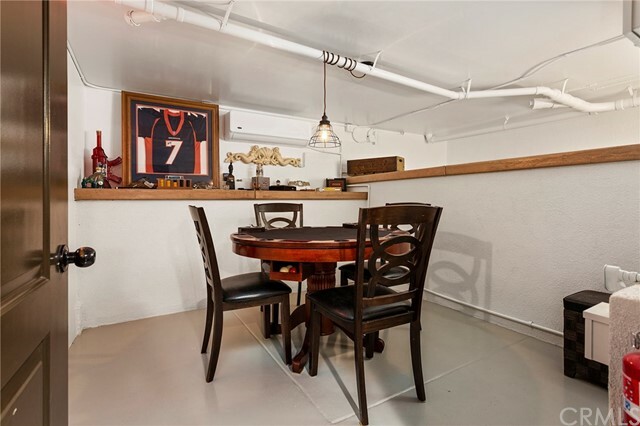 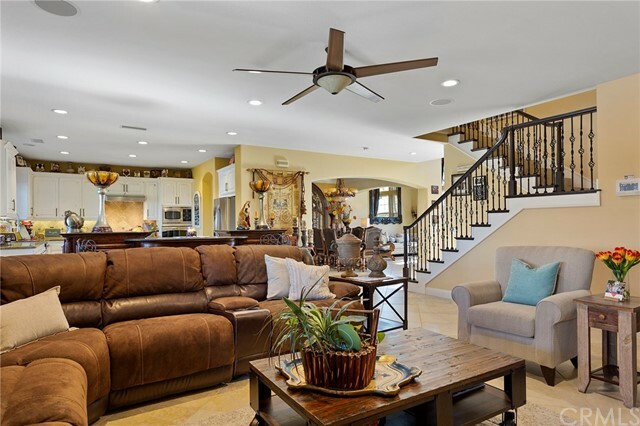 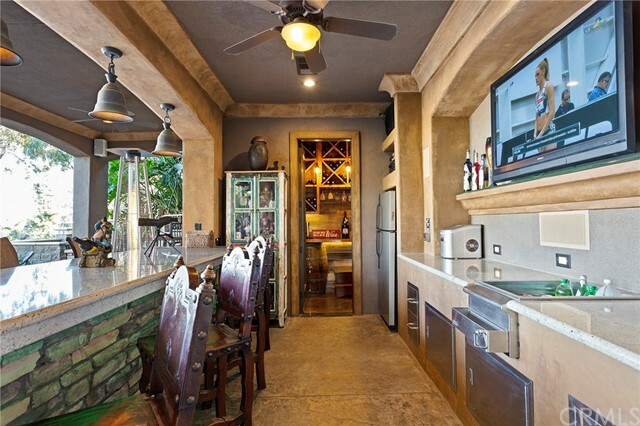 Off the kitchen is the 30 foot balcony with 4 ceiling fans providing tons of extra space to entertain. 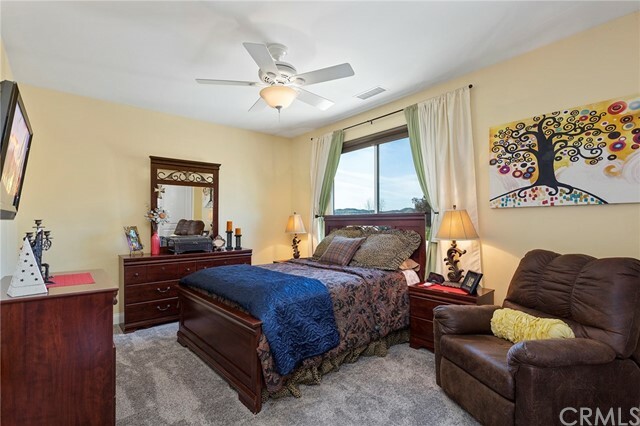 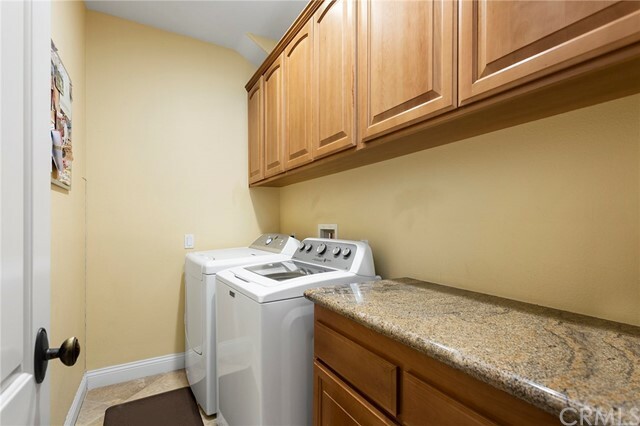 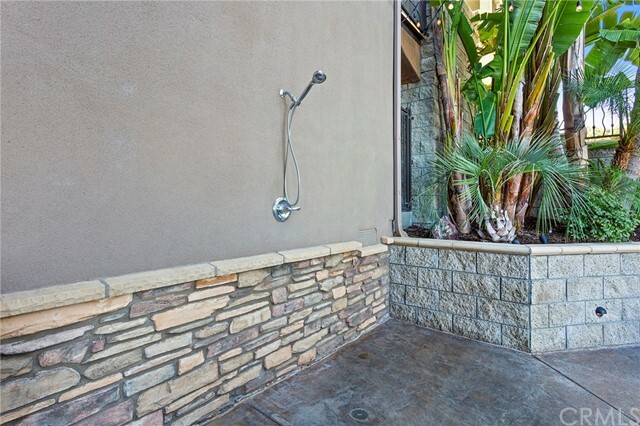 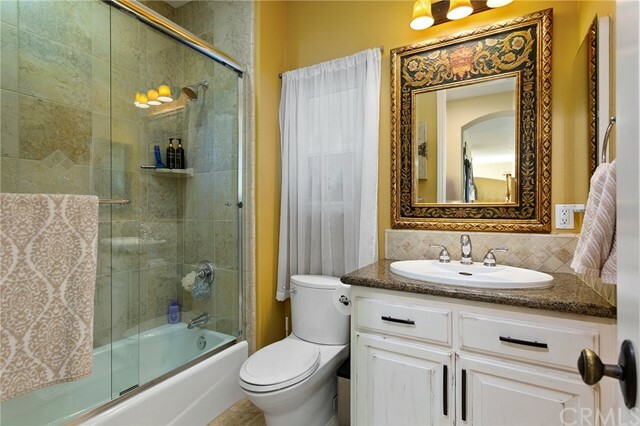 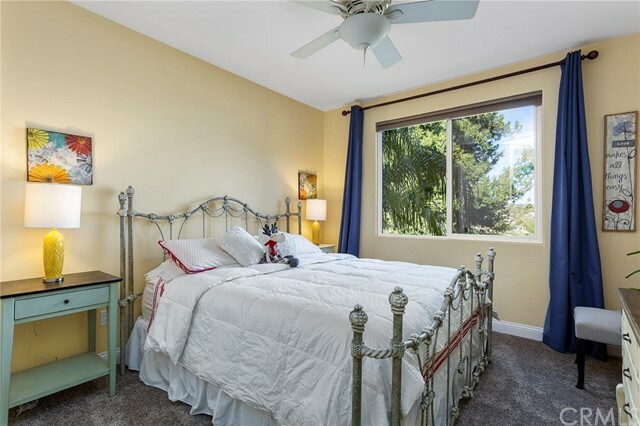 Master bedroom suite has its own private balcony, walk in tiled shower, jacuzzi tub with heater,& walk in closet. 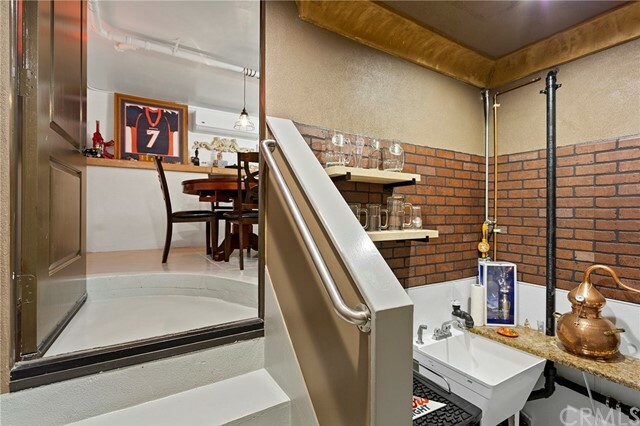 There is an upstairs loft, and downstairs bedroom, all doors are 8 foot high. 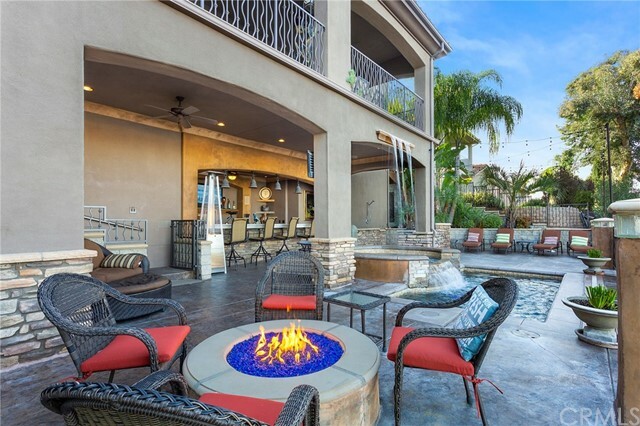 Stepping into the backyard you see the pebble tech salt water pool & spa with detailed stack stone spillway, stamped stained concrete, fully loaded outdoor entertainment area with granite toped bar, built in bbq island, gas fire pit, powder room, wine cellar room & secret door that leads to the speakeasy poker room! 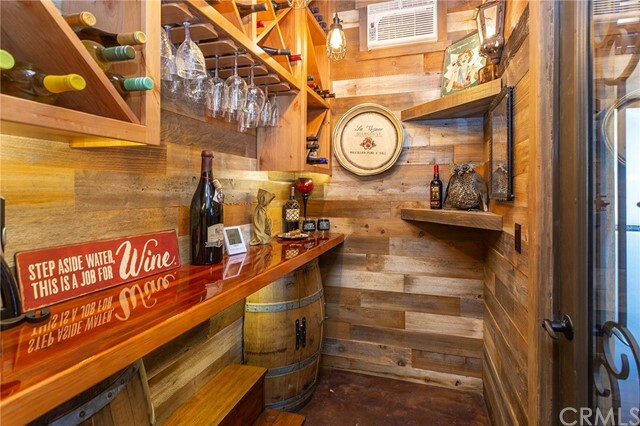 Outdoor storage is ample with oversized 3 car garage, flat driveway, 54 feet of gated RV parking with 50 amp electric hook up & dump station. 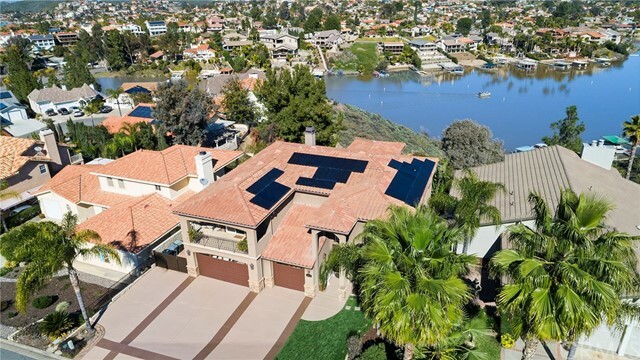 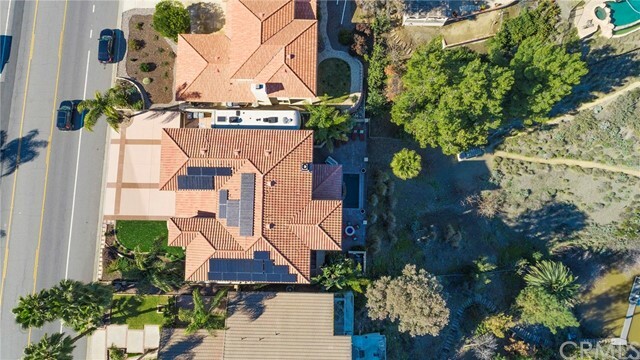 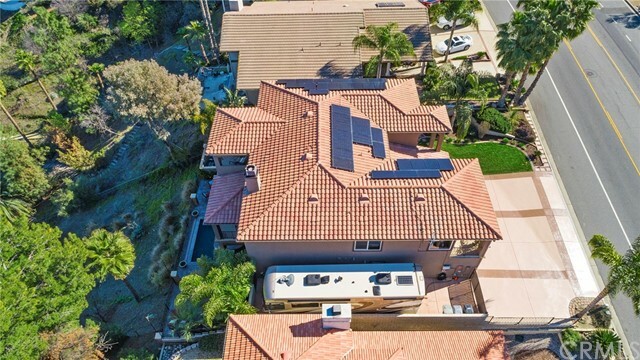 Energy efficient with PAID OFF 34 panel solar system worth $34,000 & whole house fan.